Plants and animals have evolved ever since their appearance in a largely microbial world. Their own cells are less numerous than the microorganisms that they host and with whom they interact closely. The study of these interactions, termed microbial symbioses, has benefited from the development of new conceptual and technical tools. We are gaining an increasing understanding of the functioning, evolution and central importance of symbiosis in the biosphere. Since the origin of eukaryotic cells, microscopic organisms of our planet have integrated our very existence into their ways of life. 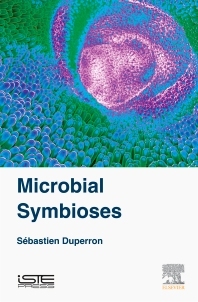 The interaction between host and symbiont brings into question the notion of the individual and the traditional representation of the evolution of species, and the manipulation of symbioses facilitates fascinating new perspectives in biotechnology and health. Recent discoveries show that association is one of the main properties of organisms, making a more integrated view of biology necessary. Microbial Symbioses provides a deliberately “symbiocentric” outlook, to exhibit how the exploration of microbial symbioses enriches our understanding of life, and the potential future for this discipline. 4.2 Dialogue between host and symbionts: who is in charge? 4.3 The end of the symbiosis: trapped, digested or discharged? Sébastien Duperron is Lecturer in Biology at the University Pierre and Marie Curie, Paris. He belongs to the laboratory of aquatic organisms and ecosystems, where his research focuses on the symbioses between invertebrates and chemosynthetic bacteria in the deep ocean.